The Fred Perry classic barrel bag in navy and ecru is equipped with style, practicality and an undeniable heritage aesthetic. From it's strong and durable retro stripe webbing carry handles and shoulder strap through to it's clever contrast end panels, it's safe to say the Fred Perry Barrel bag can't fail to catch the eye. The iconic Fred Perry signature detail enhances both ends and there's a double zip closure to the main compartment to ensure ease of access. The Fred Perry classic barrel bag is a great gift idea and is ideal for carrying your mod and indie wares. 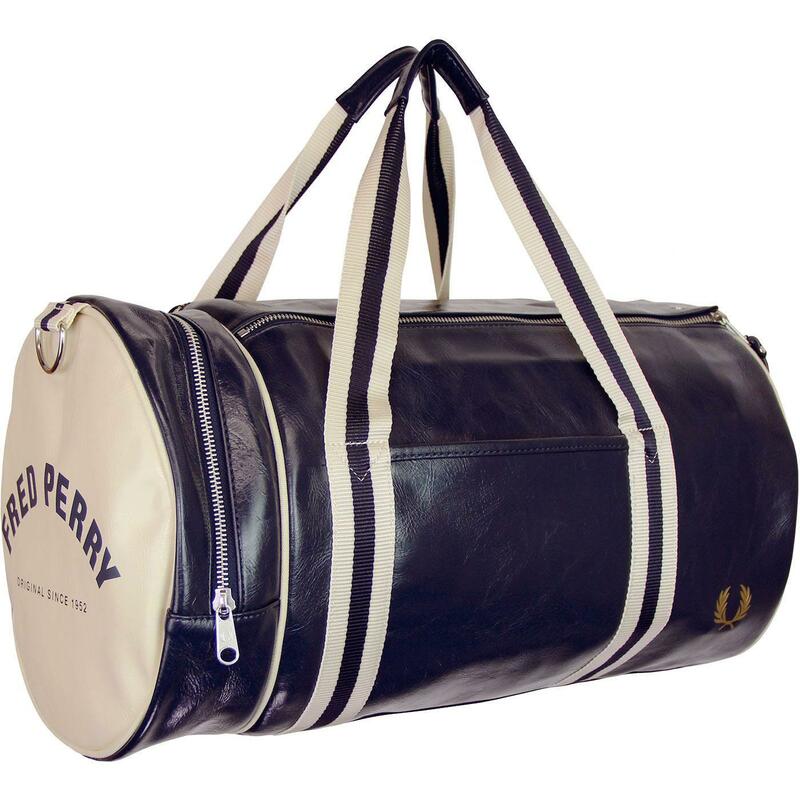 The perfect gym and overnight bag and if you're heading to a Northern Soul All-Nighter, this Fred Perry holdall is just the ticket! - Fred Perry classic barrel bag in navy. 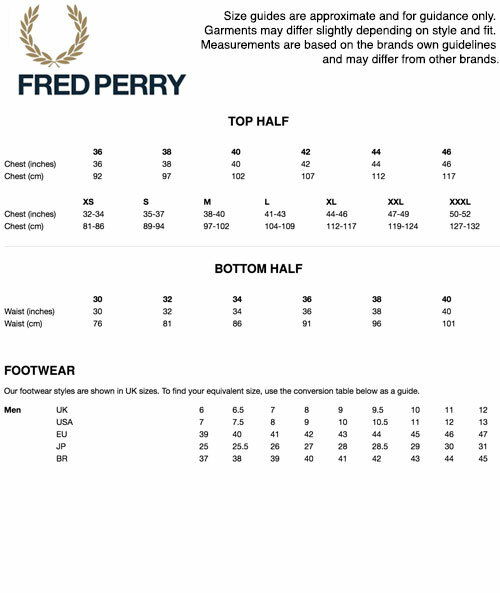 - Contrast ecru end panels with Fred Perry signature. - Double zip closure to main compartment. - Inner zip pocket for keeping keys and valuables discreetly tucked away. - Retro stripe canvas webbing carry handles and adjustable shoulder strap. - Shoulder strap is detachable. - SKU: L3330 Classic Barrel Bag. Composition: 100% PU (exclusive of trims).